Seemingly out of nowhere, something strange started happening on my Nexus 7. Every time I restarted my device, the camera application on the far right of my dock kept disappearing on me. I placed the app icon back again and again, only to have it keep disappearing. I finally abandoned having my camera icon in the dock and replaced it with my Twitter app icon, then that disappeared! As it turns out, the latest Google Search and Google Now updates are the culprits of this glitch, two features that I covered in my Google Launcher Experience article. Luckily, there's a quick and easy way to fix this issue. Unless you don't mind having that vacant space on your dock, you're going to have to get rid of the Google Now feature/screen, not the launcher. I know it's a great feature, but it's the only way to fix this issue— until Google works on it. 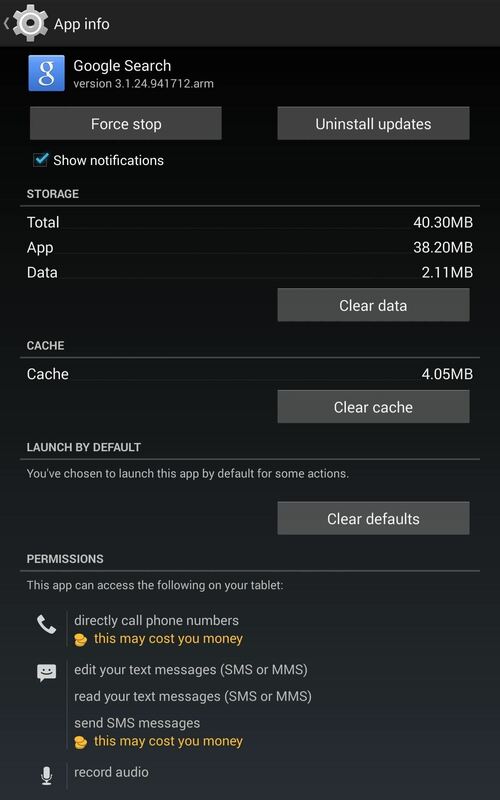 To fix it, simply go to Settings > Apps > Google Search > and tap on Uninstall Updates. After that, you're done. This will return you to the factory version of the app. You can still run Google Launcher, but you won't have the Google Now home screen anymore. 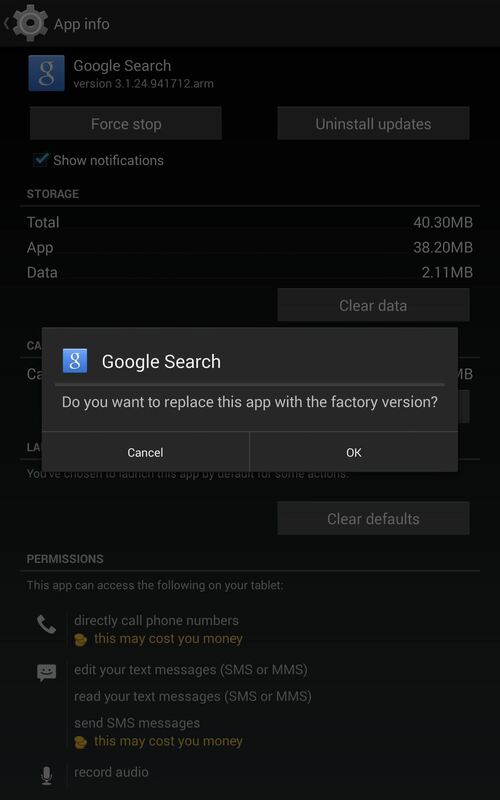 If losing Google Now is too much to hand, re-install it. To do this, hold down your home softkey , select Google (which will take you to the Google Now screen) and select "Yes, I'm in". 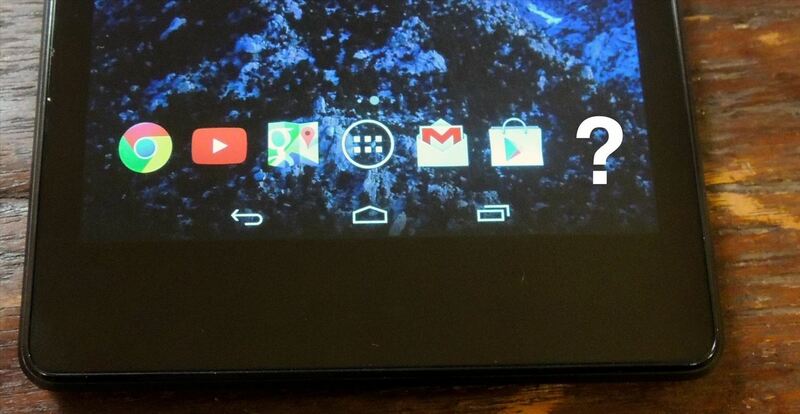 Warning: Re-installing Google Now will cause your dock icon to disappear again. This issue should be resolved soon, but if not, this is a temporary solution. 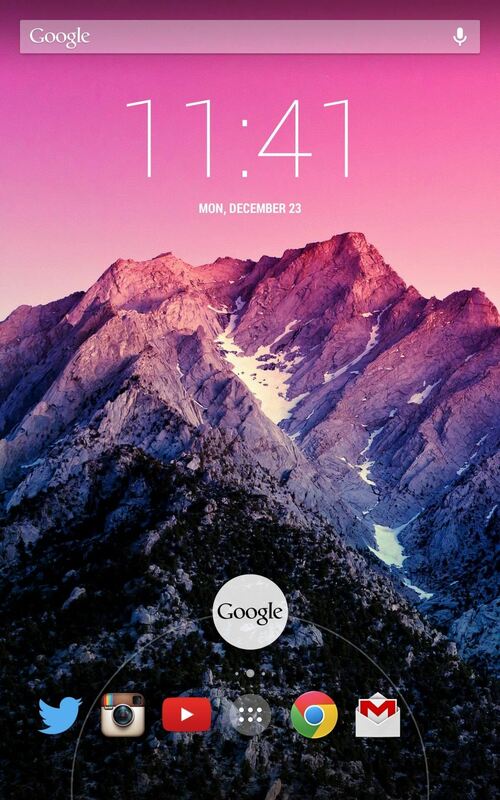 You're not missing out on much with removing your Google Now, but if you like it then adjust your dock. Thought I was losing it until I switched back to Apex and figured it had something to do with the launcher. I didn't know if it was a problem with gel or because I side loaded it on my Nexus 7. Now I know, thank you. Awesome, as long as I've helped someone else from losing their mind like me. 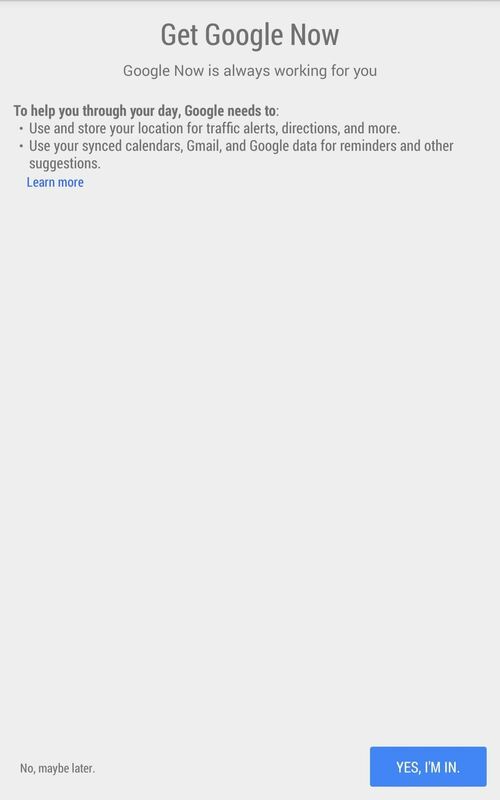 Google launcher is ok, you just can't activate Google Now.